This is the first 6 layered cube of the V-Cube series. 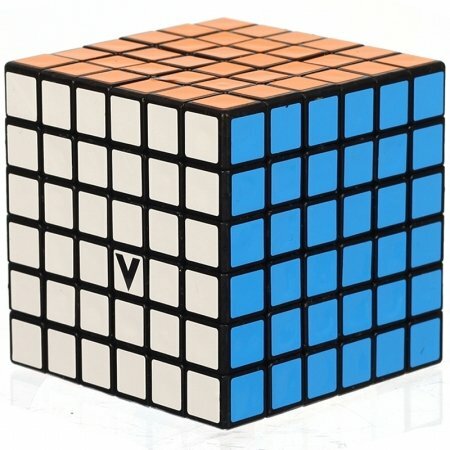 Meet the challenge tosolve this unique existent V-Cube 6. It requires attention strong effort andserious strategic thinking but it will give you back constant joysatisfaction. V-Cube 6 Black has an edge length of 69 mm. and weights 316grams. Features. Colors - Colored Stickers. Body Plastic Color - Black. Shape- Flat. Number of Colors - 6. Layers - 6. Pieces - 218. Dimensions - 2. 75 x9. 5 x 4. 75 in Item Weight - 0. 86 lbs.